Health technology startup Omni MedSci, in a patent lawsuit filed on Friday, alleges Apple incorporated infringing technology in its Apple Watch heart rate sensor after reviewing patent-pending specifications with Omni's founder and CTO Dr. Mohammed N. Islam. The Judicial Panel on Multidistrict Litigation on Wednesday ordered the consolidation of 61 lawsuits that take issue with Apple's decision to throttle the CPUs of iPhones with degraded batteries, a tactic the company claims extends the operational lifespan of its products. BlackBerry on Tuesday launched a lawsuit against Facebook, arguing that services like WhatsApp and Instagram deliberately copy features from BlackBerry Messenger, one of the draws of BlackBerry's once-dominant smartphones. A Parisian court has blocked Apple's attempt to prevent Attac -- the Association for the Taxation of Financial Transactions and Citizen's Action -- from staging protests at the company's French retail stores. The European Union on Wednesday announced that it determined chipmaker Qualcomm illegally shut out rivals when it paid Apple billions of dollars to stick with its LTE baseband chips for five years. Qualcomm will pay a hefty price for its misdeeds: 997 million euros, or $1.23 billion U.S.
Years after a disastrous first foray into sapphire production, Apple's troubles with the super hard glass, or more precisely its manufacturers, continue, as the company on Monday was saddled with a lawsuit from material producer Hebei Hengbo Fine Ceramic Material claiming breach of contract. 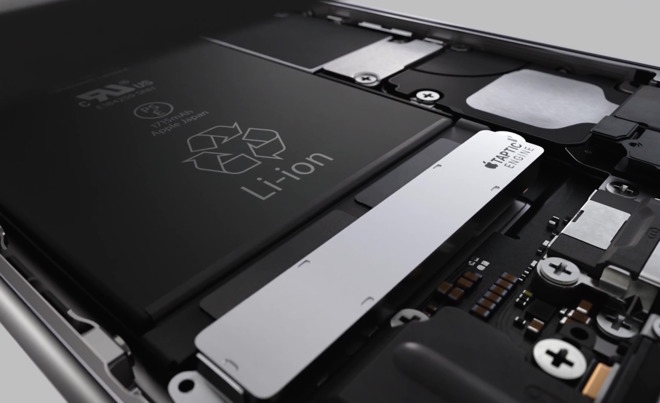 Lawyers working on one of a number of class-action lawsuit proposals over the iPhone battery slowdown issue want Apple to retain the old batteries it swaps out in its battery replacement program, along with a request to hand over any diagnostic data Apple produces relating to the batteries. Apple is looking to reverse a Patent Trial and Appeal Board ruling upholding the validity of certain patents owned by VoIP-Pal, alleging the VoIP technologies firm secretly lobbied officials presiding over the case without Apple's knowledge.